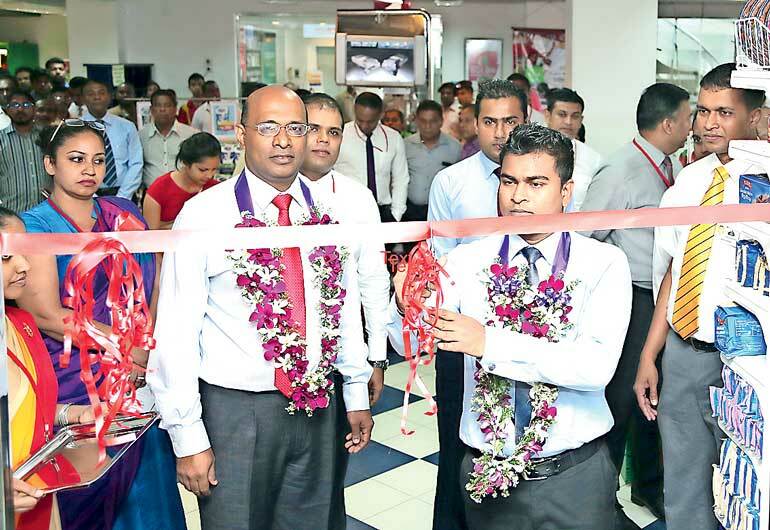 Cargills Bank opened its latest branch in Galle on Tuesday 25 October, increasing its branch network to 12 as it continues its journey of expansion. The bank is already operating in Colpetty (Head Office), Old Moor Street, Maitland Crescent, Matara, Maharagama, Vavuniya, Hawa-Eliya, Thanamalwila, Kurunegala, Jaffna, and Chunnakam. The new branch at Galle will serve a wide segment of customers and provide them with the benefit of conducting their banking transactions in the comfort of a modern and technologically advanced environment. Known for its historical glory and the rich heritage, attracting thousands of tourists all around the year, Galle is one of the fastest developing cities in the country. It is also a prominent location for start-up businesses where many boutique businesses emerge along the streets of the Galle Fort. As it is also a famous tourist destination, business is flourishing, and the city holds potential for new business opportunities. Cargills Bank is geared to financially assist the business community in both SME and Retail sectors, operating both small scale and large scale businesses. The bank offers to both individuals and businesses alike convenient and hassle-free banking with customized and innovative products and service solutions. Cargills Bank branch network provides a range of services and products, including Current and Savings accounts, Foreign Currency Accounts, Fixed Deposits, Advances and Loan facilities, Trade services, Treasury services, and Remittances. The bank has been persistent and passionate in instilling the savings habit in the people of Sri Lanka and its savings initiatives have been extended to all Sri Lankans through widespread promotional campaigns. Cargills Bank also aims to establish itself as the preferred Bank for retail banking through easy access and convenience by increasing customer touch points via a widening network, supermarket banking, all-round digital access, longer operating hours, adding value to the existing product portfolio, and launch of new products and services supported by modern IT systems. Cargills Bank is a fully fledged commercial bank providing value propositions across all customer segments that it serves. Cargills Bank has a strong focus on SMEs and offers a comprehensive suite of financial solutions that offers flexibility to address the varying needs of different SME segments. Adding value to the bank’s product portfolio is an integral part of bank’s growth strategy that runs in tandem with the bank’s vision. Given the confidence and trust that customers have placed in the bank, Cargills Bank is continuously driven to innovate and deliver customer centric solutions that adds convenience and value, and support the changing lifestyles of people. Positioning itself on the premise of ‘Banking on the Human Spirit,’ Cargills Bank is committed to delivering the best possible banking experience for its customers that surpasses expectations. For more information on Cargills Bank, visit www.cargillsbank.com.